The UK government is to release a consulting paper to determine software standards to open up the government IT market to SMEs. “We will move to a digital commissioning role. 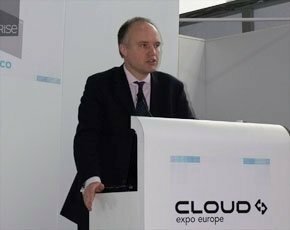 We will inform people of a pipeline of work to enable small and large businesses to understand what it is coming up so they can plan,” said Liam Maxwell (pictured), director of ICT Futures at the Cabinet Office, speaking at the Cloud Expo Europe in London. While government IT has previously focused on standardising technical standards, Maxwell said government was now trying to standardise suppliers. He said government was spending 80% of its IT budget with 9 suppliers, which effectively locked it in.